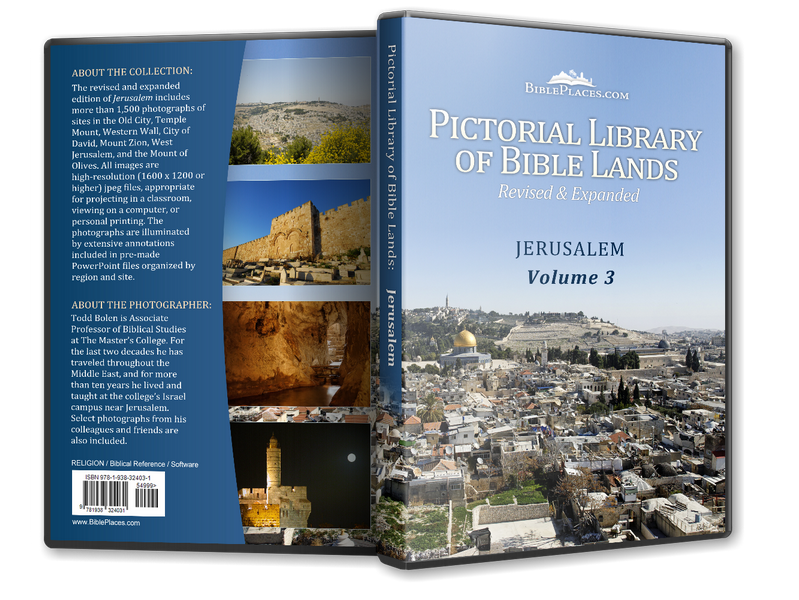 Often visitors wonder why the Temple Mount is not the highest point in the city when the Bible seems to describe it as such. The answer is that the city today (including the “Old City”) has grown and shifted from its original location. The earliest city of Jerusalem is the “City of David,” a smaller hill south of, and lower than, the Temple Mount. 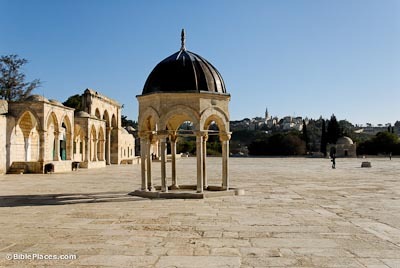 The present Temple Mount was constructed by Herod the Great beginning in 20 BC. Construction on it continued for 83 years until AD 64 when a halt was called to the project and 18,000 workers were laid off (riots resulted). 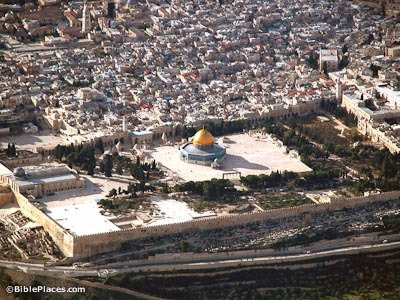 The Temple Mount is 1/6 the size of today’s Old City and covers 35 acres. Construction of this rectangular platform required filling in a large part of the Central Valley. Herod enlarged the existing Temple Mount in order to accommodate the larger crowds of Jewish pilgrims coming for the feasts. 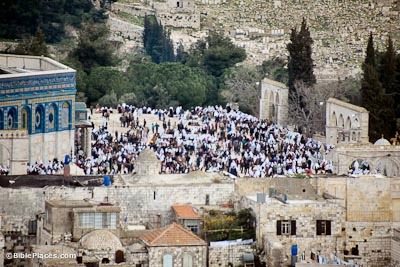 Today Muslims in Israel celebrate Ramadan by coming to what they call Haram esh-Sharif (the Noble Sanctuary). More than 400,000 Muslims often gather here on the final Friday of the feast. See Dome of the Rock. Because of Muslim control of the Temple Mount, archaeologists are prevented from working on the site. Consequently scholars lack evidence for determining the precise location of the first and second Temples. Asher Kaufman has theorized that the Holy of Holies originally was located not under the Dome of the Rock but under the Dome of the Tablets (aka Dome of the Spirits). 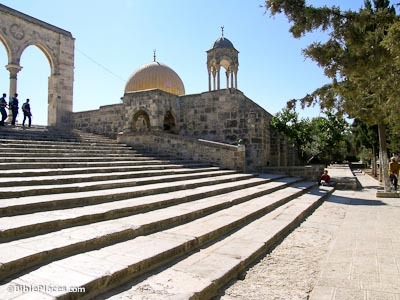 Leen Ritmeyer identified a large step at the bottom of one of the staircases which he believes is the top of the west wall of the pre-Herodian Temple Mount. This step is exactly 500 cubits from the eastern wall of the Temple Mount, matching the Mishnaic measurement of the (apparently earlier) Temple Mount. After this interpretation of this step, authorities laid new pavement to cover the wall. 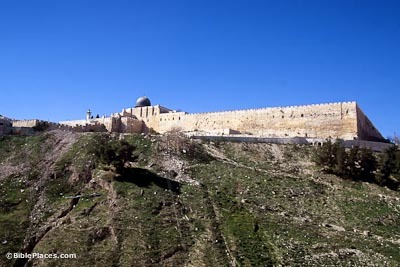 On the southeastern side of the Temple Mount is a “seam” of stones where a later addition leans up against the earlier east wall. 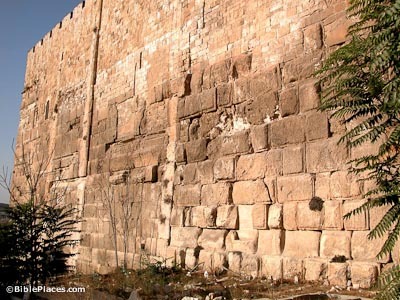 There is some debate about the date of this earlier wall (the later is clearly Herodian), but Ritmeyer has convincingly demonstrated that the earlier wall forms the corner of the 500 cubit square Temple Mount. If this identification of the earlier Temple Mount is correct, the Temple must have been located where the Dome of the Rock now sits.